Your Business, Our Musical — Your Love, Our Musical! Evan Kaufman & Rebecca Vigil improvise musicals. Usually they do them for couples at their monthly show Your Love, Our Musical! Rebecca and Evan interview someone in your office - someone everyone knows. The big cheese, top banana, CEO. Greta, from HR? Steve, the beloved Office Admin. They chat with them for 10 minutes and absorb everything about the company: Who does what? What's the office buzzword that drives everyone crazy? It's bandwidth, isn't it? Then R+E (along with their incredible musical director Dan Reitz) launch into a 35-45 minute musical about your workplace. It's like Hamilton except it stars Steve, the beloved office admin! And he's rapping! Pretty well, actually. Your Business, Our Musical will make any holiday party a blast and any holiday party planner look like a genius. Trust them. They have the bandwidth. 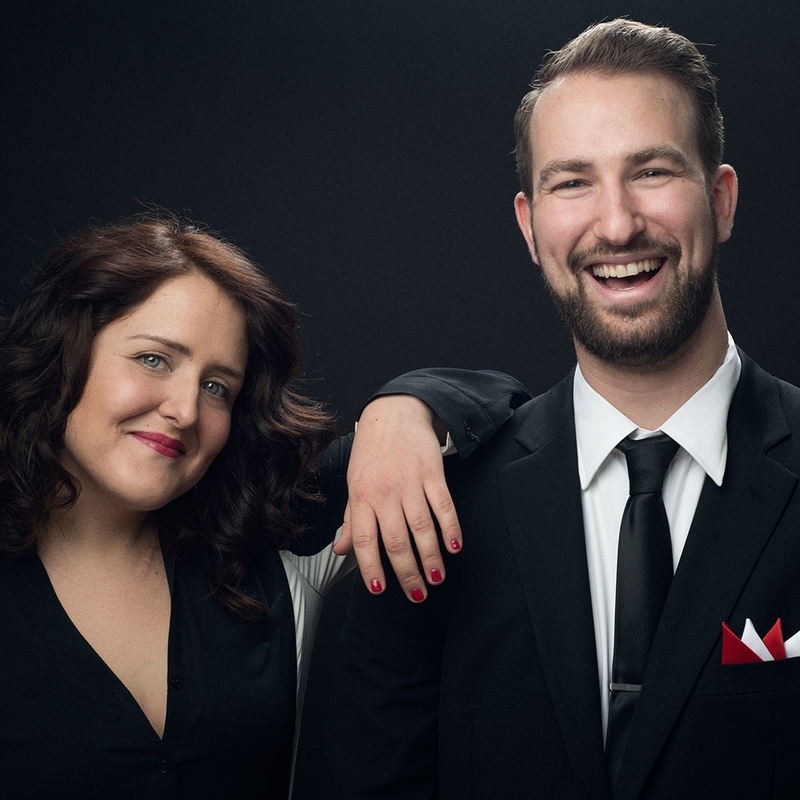 Get a curated musical, on-the-spot for your Holiday party, conference, or special event! Thank you for your interest in "Your Business, Our Musical!"